Declan Roche has reflected on DCU’s 2016/17 third level football season while also taking a look ahead to this coming season. The DCU manager expressed his excitement for the year ahead, a year in which the university will retain many of the players involved in 2016/17 while he announced that there will also be some changes to the coaching staff. “In relation to going forward, we still have the bulk of all last year’s squad, the freshers and of course the new addition of freshers this year which I’m excited about,” he said. Freshers featured regularly throughout the season with nine Harding Cup champions playing in DCU’s CUFL Semi Final defeat. “I’ve also changed around our coaching staff slightly. We’ve lost Padraig Cregg, he’s gone back to Scotland. So I brought in John McDonald, who’s gonna come and work with the senior team in DCU,” the former Celtic player said. “Timmy Clancy will come work with the Freshers team with me in DCU,” he added. Despite the glory in the Harding Cup, DCU endured heartbreak in the College and Universities Football League (CUFL) Premier Division. The senior footballers continued to challenge at the top level while the freshers proved that the future is nothing but bright. The senior team reached the Premier Division semi-final and Collingwood Cup Semi Final, enjoying a strong run in the Collingwood Cup in particular, an impressive 8-0 victory over RCSI emerging as the highlight. 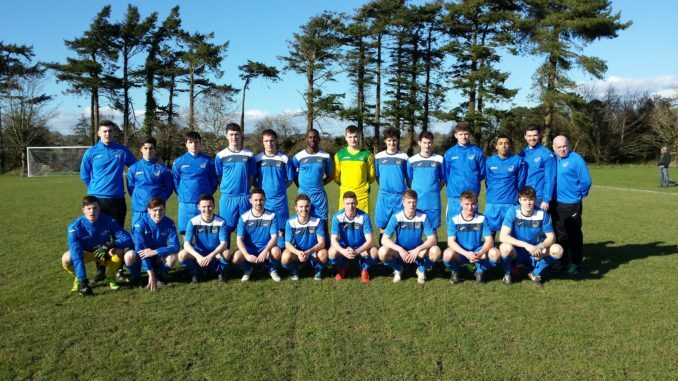 Roche’s side fell to University College Cork by a mere goal in the CUFL semi final in what was a tight game, just days after several of the side’s players had played 120 minutes of football as DCU’s freshers claimed the Harding Cup 1-0. Also speaking at the launch, the FAI National Coordinator for Schools and Third Level Football Mark Scanlon highlighted the significance of third level football to the domestic game as well as the national team. With 110 teams to compete in the upcoming season, third level football offers an opportunity for those involved to showcase their skills and further develop their careers.